Whilst we all reside in the same beautiful country, there are major differences within laws, culture, climates, and other areas, state to state. It is important to accept and understand these differences before entering a new property market. Brisbane, for instance, is not as expansive and wide-ranging as other capitals such as Sydney and Melbourne. This is definitely something to consider, as it is a key factor that differentiates the Brisbane property market and Sydney’s for example. 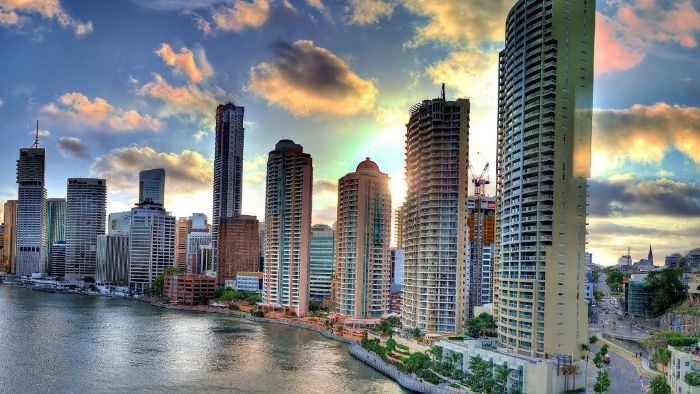 This blog will feature my top 3 things to know before buying in Brisbane. So, as mentioned earlier, Brisbane is nowhere near as expansive as Sydney and Melbourne. The urban sprawl offered by Sydney and Melbourne is wide-reaching, and as a result; provide an extensive platform for investment outside of the CBD. Many investors have made the mistake of assuming that properties say 20-25km outside of the Brisbane CBD, will perform like properties 20-25km outside of Sydney or Melbourne’s CBD; mostly due to Brisbane’s ‘capital city’ status. What many investors haven’t realised; is once you’ve moved 10km or more outside the inner ring of Brisbane; a lot of key drivers for capital growth are lost. In terms of supply, there is a major supply of vacant land approx. 20km outside of Brisbane; and some suburbs such as North Lakes and Ipswich have a quoted 5-10 years further of building supply. From a demand standpoint, there are no major employment hubs, so as a result, the demand for housing is less. Infrastructure projects and public transport initiatives are few, causing many who reside just outside of the inner ring of Brisbane, to be left with limited options for commuting. The purchasing process in Brisbane is much less cutthroat than the other capitals; resulting in a much more ‘buyer friendly’ environment. For starters, a 5-day cooling off period is available upon entering the contract; allowing buyers/ investors to ensure there are no issues with the property from a structural standpoint. A building and pest clause is also available, and a normality between 7-10 days. This provides purchasers peace of mind, as they can ensure the property is free of termites and other pests. This is important as termites are very much prevalent, and a major household pest in Queensland. On the point of the purchasing process in Brisbane, it is worth noting that approx. half as many properties go to auction every weekend in Brisbane, when compared to Sydney and Melbourne. As a result, the ‘multi offer’ scenario attempts to fill this void; although it can be a lot more difficult to understand. This scenario induces that if one starts to negotiate on a property, and a second party (or more) shows interest, all parties will have to stop negotiating, and will be required to submit their best offer. The seller will evaluate the offers received and decide on what to do. The difficulty here comes from the actual ‘final price’; and knowing that the price you provide is the best that can be offered. Finally, buyers need to be aware that Brisbane has A LOT of storms, and from time to time, can flood. Inner Brisbane has many steep slopes, hills and valleys, and as a result; storm water runoff can we a serious issue for some properties. The Brisbane City Council has provided a number of resources to assist in having your questions answered. Some of the resources include an interactive flood awareness map, A guide for residents, A guide for businesses, and numerous other sources of information. All resources are available here – https://www.brisbane.qld.gov.au/community-safety/community-safety/disasters-emergencies/be-prepared/flooding-brisbane . The takeaway from this tip is to not miss this part of your ‘due diligence’, as many investors do. For many, this issue can be a deal breaker; especially for those looking to grow an asset base. So conclusively, it is critical that those looking to start investing in Brisbane must take a few things into consideration; certainly before entering the market. It is worth paying attention to the differences between property markets; as Brisbane performs very differently to the property markets of other capital cities. The differences that Brisbane projects to that of other capital cities within Australia are wide and varied; and range from different laws, culture, and climate. 5 Tips to help make property investment your New Year’s resolution! What’s so special about Melbourne?